Hydraulic service tools used for maintenance in critical applications must operate reliably in potentially hazardous environments. That’s why a leading manufacturer used a Dynex tandem-pump power pack for use in their bolt tensioning equipment. The tensioner provides fast operation in tight operating spaces, to improve worker safety and to allow power plants back online sooner. 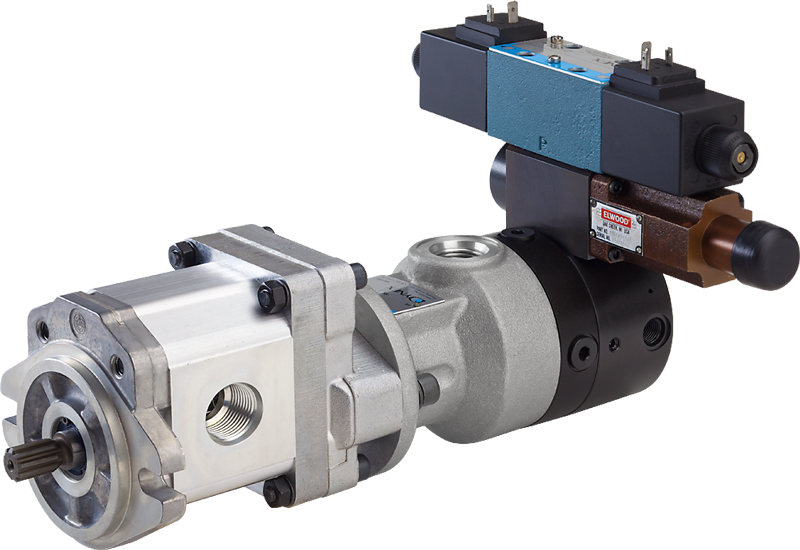 The compact, self-contained system uses a Hi-Lo circuit to supply high flow to rapidly advance the tool. A Dynex checkball pump then supplies low flow to 10,000 psi to produce the high tension required to “stretch” the mounting stud. The resulting clamping force is retained by tightening the large nut against the flange. This process eliminates torquing that can cause deformation and stress cracking, damaging the bolt, the nut or the flange.